Soooo I'm in a band, 2 in fact. Considering they are now both active I reckon I should do a wee blog on them. 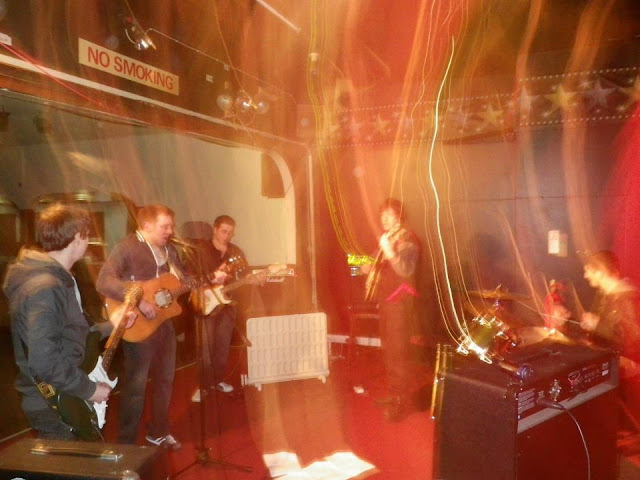 We are a 5 piece indie/rock band based in Warrington in the North West of England. 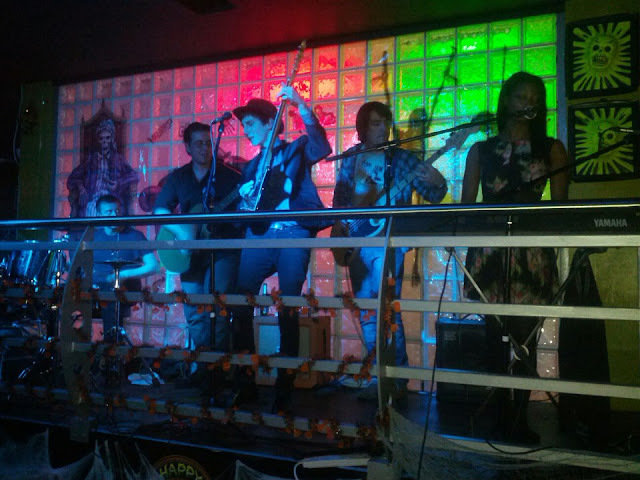 We play our own original material drawing influences from alternative/indie rock, britpop and grunge. It's very ballsy grunge flavoured indie rock. I split lead and rhythm guitar with another guitarist and the lead singer/rhythm guitarist. They've been together as a four piece in one way or another for a while, but I was brought in to give the songs some extra Oompf. We have our first gig at Manchester Academy on February 23rd. We are also getting afew tracks down professionally recorded next week... we'll be touring Japan in no time! We are a 5 piece alternative rock band from Warrington. Elements of Rock and rock, blues rock, folk and pop give the sound a great foot tapping and dancing quality. The views I express here are mine alone and do not reflect the views of my employer, family or anyone else. Photographic, video, audio, or text based material featured on this sight may not be reproduced without seeking permission.